Yes, thread jointing. I used dental floss. I also read you can use heavy duty thread, like upholstery thread. I used my basic amigurumi pattern, only thing I changed is the hook size and yarn, everything else was done the same. I used 12 oz poly fill, stuffed very lightly. As tiny as he is. he is soft and squeezable. I will post the pattern on my blog once I finalize it. 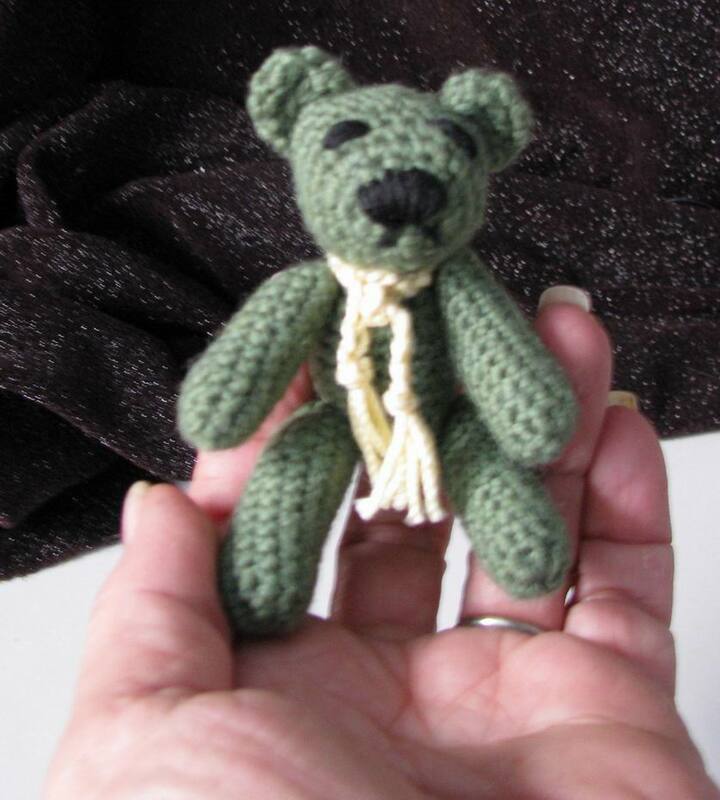 In fact, what inspired me to do this little bear was when I visited some “miniature” sites – I have a few listed on my blog – check them out, incredible works of art. What a cute little teddy bear! !